Once again, the MTA’s MACH show at the NEC proved to be highly successful for Telford based industrial air extraction and filtration specialist Filtermist, with a significant number of quality leads being generated throughout the five days. Filtermist has exhibited at MACH for a number of years, but this year was different thanks to the inclusion of the company’s latest acquisitions, Multi Fan Systems and Dustcheck Ltd, on the Filtermist stand. 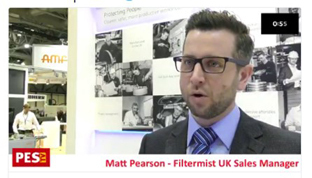 UK Sales Manager, Matthew Pearson, took part in the PES One Minute Challenge during the show – follow this link (compilation 1, 05.00 mins in) to hear him talking about Filtermist’s 2018 MACH stand. 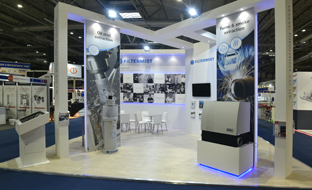 In addition to the Filtermist stand, Filtermist oil mist filters were also showcased on a number of machine tools throughout the show. Companies including Citizen, Haas, Hurco, MecWash, Mills CNC, NCMT and Star all had Filtermist units fitted to the machine tools on show on their stands. Photos can be found on our facebook page. 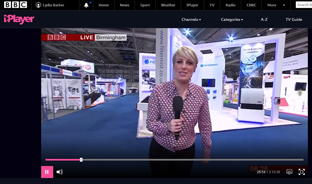 We were also delighted to see BBC Breakfast’s business reporter, Steph McGovern broadcasting from in front of our stand on the second day of the show! Follow these links to find out more about products and services from Dustcheck Limited and Multi Fan Systems, or call 01952 290500 to discuss your air extraction and filtration requirements with Filtermist’s UK sales team.